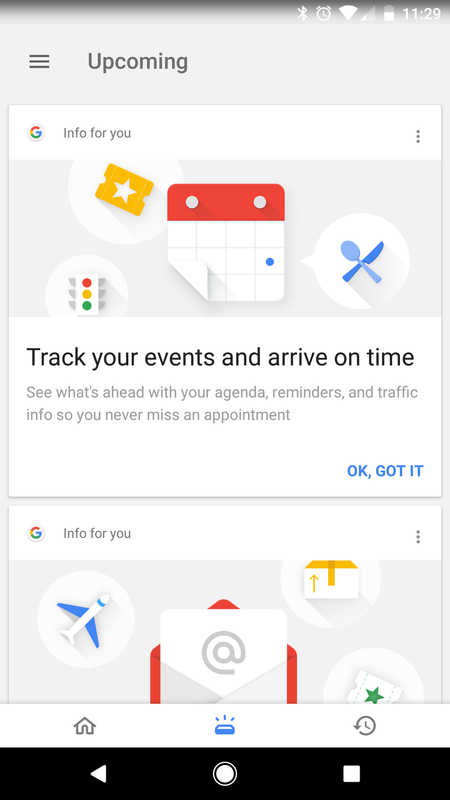 Google appears to be rolling out this feature to even more users (possibly everyone, it's too early to tell), including those using the Pixel Launcher. 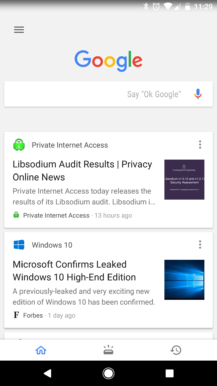 Once you open the Google app, you will be greeted with three tabs at the bottom - Home, Upcoming, and Recent. 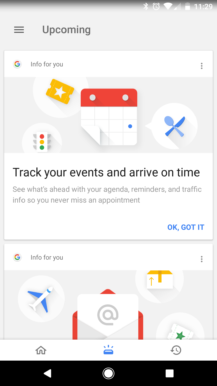 Home contains recommended articles, Upcoming contains reminders/package tracking/flight info, and Recents shows a history of your Google searches. If you use the Pixel Launcher, the side Feed panel has received a facelift too - but it doesn't look like the Google app. The solid background with KitKat-esque status bar/navigation transparency has been replaced with a translucent background. 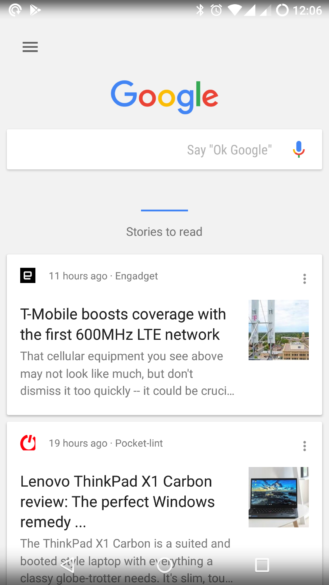 The Google logo and search bar have been condensed to a small top bar, leaving more room for the recommended content. To access your other tabs, there is a new button at the top right that takes you to the standalone Google app. 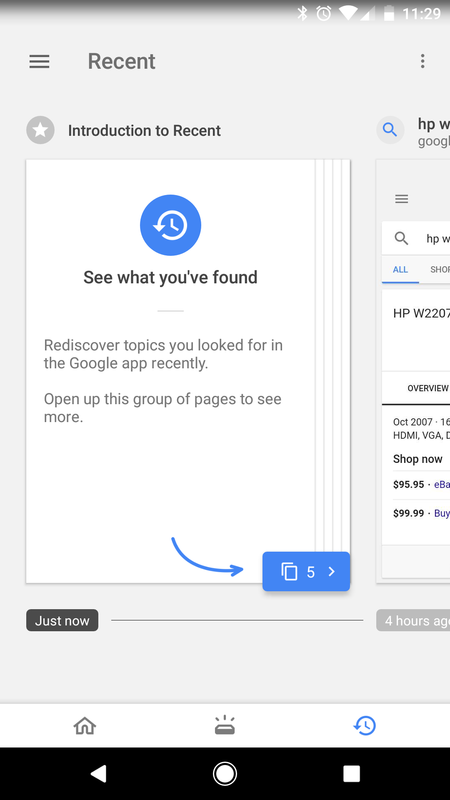 I would have preferred the tabs to be directly accessible on the Google pane, but there's an even more annoying change - you can't swipe away cards anymore. You can only tap on the menu button and select 'Done with this story.' 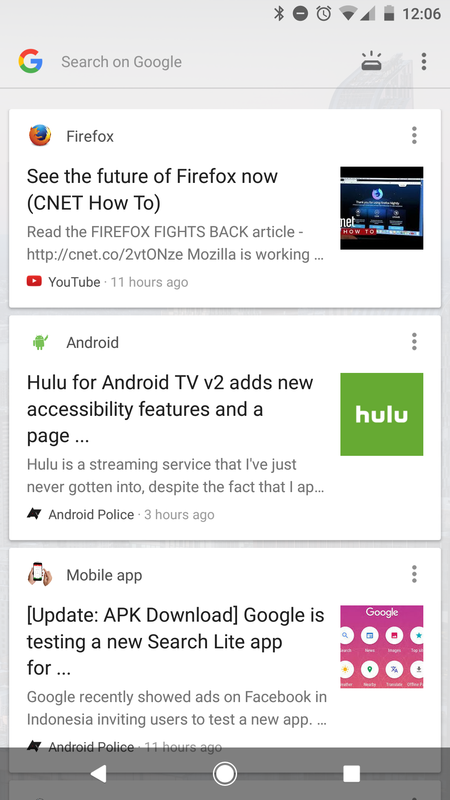 The new interface still hasn't appeared on my devices using the Google Now Launcher, so this change could be exclusive to the Pixel Launcher. Personally, I have mixed feelings about this change. While the standalone Google app is improved, I think the Google pane on the Pixel Launcher is far less useful. Checking the status of a package or flight only required swiping to the Feed panel, but now takes several taps to accomplish. 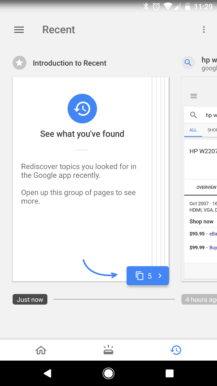 Hopefully Google will move the tabs to the Google panel in the near future.